We partner with State Farm to provide our customers with superior insurance products in auto, home, life and health. Our team strives to provide great quality customer service. Our mission is to help people manage the risks of everyday life, recover from the unexpected and realize their dreams. Let us show you how to protect what matters most in your life so, STOP IN, CLICK, CALL TODAY! 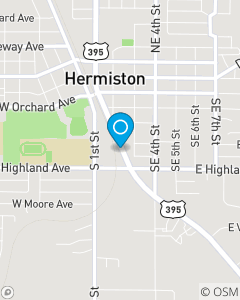 Moore Insurance Agency Inc. team have been servicing Hermiston and our local surrounding communities since 2017. With a combined 7 years insurance experience we focus on Servicing Umatilla and Morrow counties in auto, homeowners, renters and life insurance needs. Nydene Moore and her team are here for you 24/7, call us anytime for your free insurance quote.